Q1. 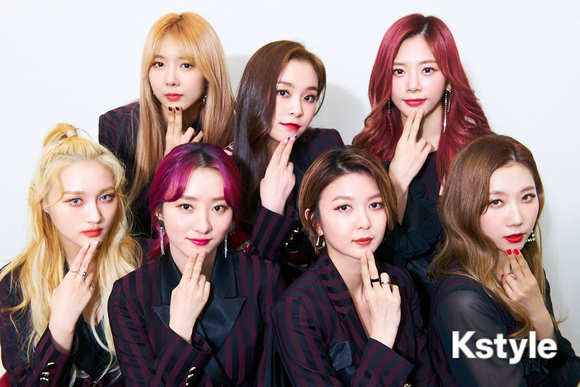 Dreamcatcher, you are having a comeback after almost 5 months, please greet the Genie Music family. Q2. Since this fourth mini album’s name ‘The End of Nightmare’ indicates that this is your last nightmare story, it probably feels different. What kind of story does the album tell? Yoohyeon: Yes, this album incorporates the ending to the nightmare story that we told since our debut. Dreamcatcher is inviting you all to never-ending, repeating nightmares. Q3. The title song is called ‘PIRI’, what kind of song is it? Dreamcatchers’ choreography left a deep impression again, so please explain this song’s point dance. Jiu: Our title song ‘PIRI’ displays modern peoples’ feelings of wanting to break free from the loneliness and anxiety of being left by oneself. In the special story, the matter of ‘PIRI’ adds to Dreamcatchers’ own SOS signal that we are sending. Siyeon: Yes, in the Pied Piper dance, Jiu is the piper! Q4. This album contains 6 songs in total, which one is each member’s favorite and why? Jiu: Choosing a favorite song for this album is harder than ever before. I really like all of them, I can’t choose a favorite! Sua: My favorite song is ‘PIRI’~ All of the other songs are really, really good, too, but its refreshing sound immediately captured my heart. Siyeon: My favorite song is ‘Daydream’! Since it is winter right now, I like that it is a song that feels dim and warm while listening. Handong: For me, it is ‘Daydream’, too. When I listened to it, the calm and lyrical melody felt really healing. Yoohyeon: I like ‘그리고 아무도 없었다’ [And I had nobody] best. Even before recording, in a state without lyrics, I really liked its sophisticated feeling, and the lyrics ‘And I had nobody’ feel both very hypnotic and dim. Dami: For me it is ‘Diamond’. During recording, it was a style of rap that I don’t usually do, so it was very difficult, but in the end, the recording turned out well. Gahyeon: For me it is ‘Diamond’, too. It is the song we prepared for first, so I am attached to it. Q5. This album comes in two versions, Stability and Instability. Do you have any memorable episodes from shooting each version? 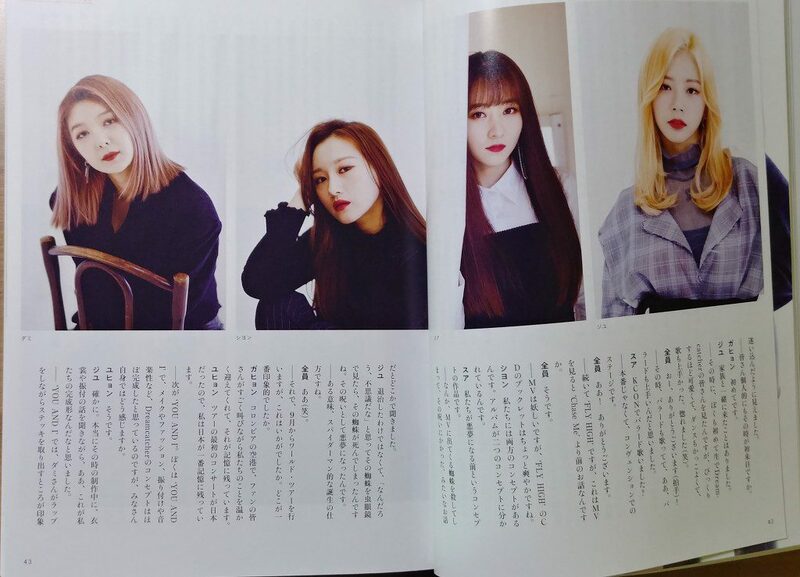 Jiu: When we had our concept shooting, we used the concept of laying down while shooting, but my head was surrounded by grass and I got scared that it would get stuck in my hair, so I remember that our staff made a fuss about it for no reason and said “Carefully, carefully~”. At the concept shooting, I had a scene with the members in our stage outfits, and we had to stand by the window. One of the photographers went outside on that cold day to film us from outside, but when he talked, we couldn’t hear him well, so shooting while communicating with body language is one thing I remember. Handong: That’s true. I couldn’t find the camera at first, because it was dark. The photographers worked very hard, thank you. 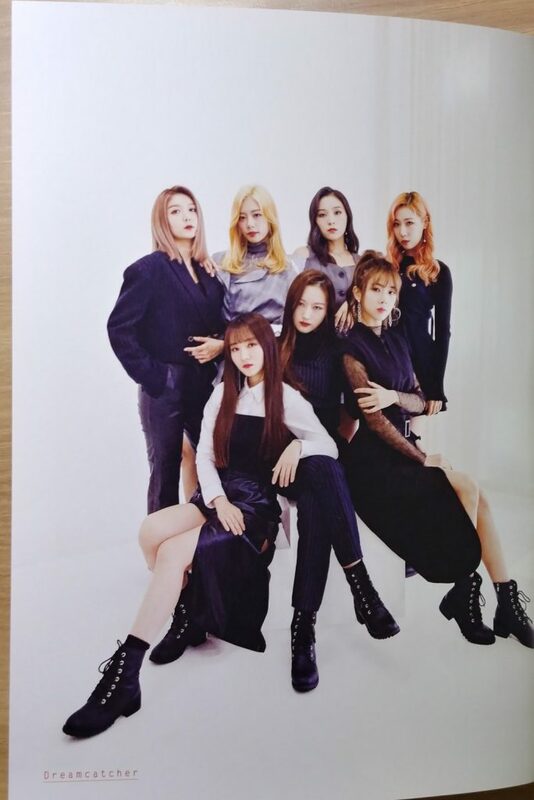 Siyeon: At the concept shooting, someone told me to show a bewitched expression, but it was the first time I tried [such a] passive feeling, so it was hard. When we filmed, my stage outfit had a long handkerchief running down from it. Cool pictures came out after we tried to film it the moment after I threw it. So it was fun to shoot in sync with the photographer. 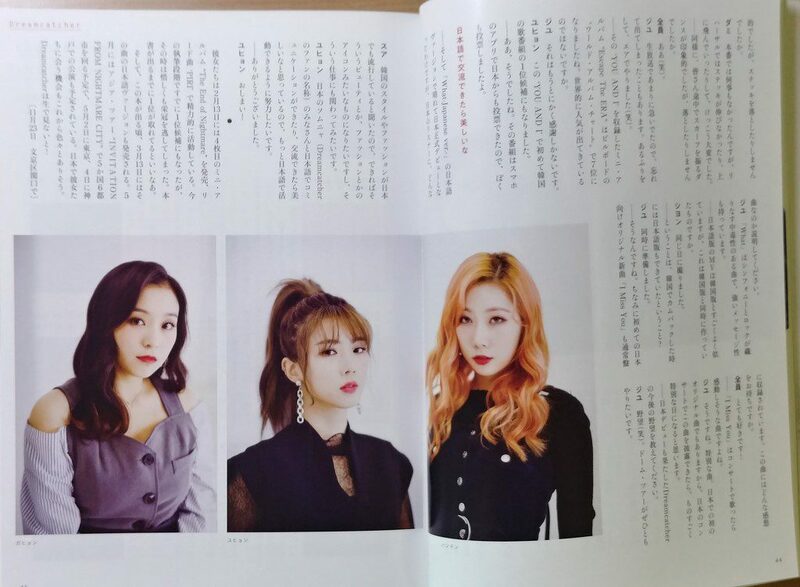 Gahyeon: For me too, at the concept shooting, they said I had to remove power from my eyes to look pure, but even when I did, the photographers and the staff kept telling me that I looked scared. I think that shooting was the most difficult. Yoohyeon: For me it was when filming the concept in my stage outfit, too, it seemed like I could not walk around alone, because the red cloth that ran down it was very long. I kept stepping on it. I felt like a puppy chasing its own tail. hehe. Dami: During the concept shooting, it was very hard [for me] to show the feeling of being seduced. Also I wore green lenses for the first time, so I was worried if I could pull it off, but I think it looks good, so I’m satisfied. Q6. The music video for the title song ‘PIRI’ probably has a different atmosphere compared to your other music videos. Do you have any memorable episodes from filming it? Siyeon: When I first looked at the synopsis, it felt like a collection of several short horror movies, which I really liked. I have a scene where I sit on a ladder and I received a compliment for that, so I was happy! Q7. You must have been busy with preparing for the comeback during the Lunar New Year holidays a few days ago. If you have goals or resolutions for the new year 2019, please talk about them. Dami: I had time to see my family on Lunar New Year, so I returned home. I came back after gaining a lot of strength and want to be busy in various ways [this year]. Siyeon: I want to try an OST! And I’m studying really diligently because I want you to hear my own compositions! Gahyeon: I hope that this promotion will be meaningful one during which I meet Somnias more often, and I definitely want to get first place! Q8. Lastly, please say some parting words to the Genie Music family. 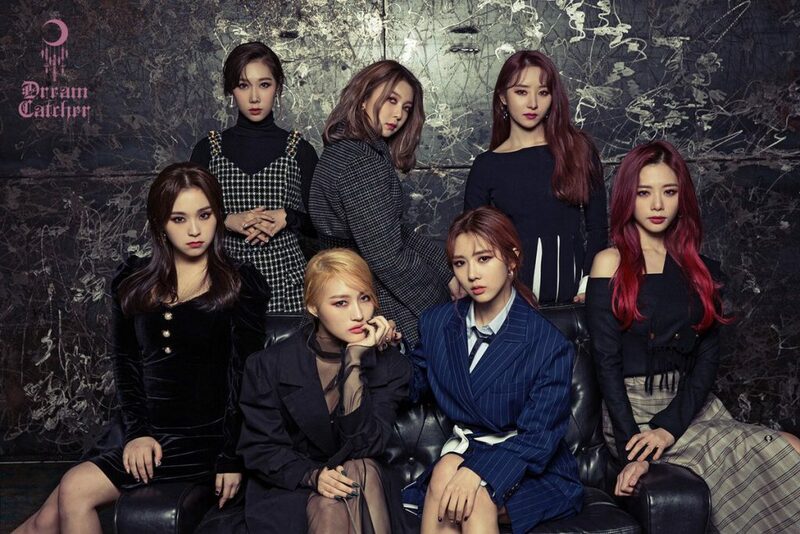 Dreamcatcher: Genie Music family, today our album was released and both the title song ‘PIRI’ and the B-side tracks are all good, so please listen to them a lot and show a lot of love! Ah, and also, once again, we wish everyone a happy new year~! Until now, we have been Dreamcatcher. Thank you!